Everyone wants to crush the competition. But the one who plays right with keyword research wins the battle. Targeting the right keywords is the base of a successful Search Engine Optimization. This requires smart planning and intelligent approach. Without proper keyword research, each of your posts would just be a guesswork at what your target audience is exactly looking for and how many people are looking for it. You might be well-versed with your niche but a keyword tool can still help you discover new phrases. Moreover, it gives a good insight into what pages can potentially attract the most traffic and help you decide where you should focus your marketing efforts. Fortunately, there are numerous keyword research tools available. Jaaxy and SEMRUSH are two of the most well-known tools. In this post, we will discuss everything about these two tools and compare them to find out which one is better than the other. Jaaxy Vs SEMRUSH Review – Updated 2018 – Is Jaaxy Better? Jaaxy is a keyword research tool developed by Kyle & Carson, two successful internet marketers while SEMRush is the first tool to focus on competitor-based keyword research. Let us look at the unique features of Jaaxy and SEMRush to see which one is better. Search Analysis – This feature lets you find who is ranking for the keywords you like and what they are ranking with. You can get an insight into what your competitors are using to rank and also see what is not ranking to use it to your advantage. Alphabet Soup – An amazing feature to target long-tail keywords, Alphabet Soup gives you a clue of what users are searching on Google. This can rank your article for a keyword that you never targeted. Site Rank – A great feature to check how well your website or article is ranking. It can also be used to see how your competitors are doing. Saved Lists – Make lists out of your keywords to organize them better. You can import the keyword lists, use them with other applications or even sell them. Keyword Data – The most frequently used feature of Jaaxy, Keyword Data forms the core of keyword research. Jaaxy tells us a lot about keywords and you can use the information to get more traffic to the website. You get data like Estimated Traffic, Keyword Quality Indicator, Monthly Searches, Quoted Search Result, Domain Availability, SEO Power, Related Keywords and more. Organic Search – This feature lets you see your competitors as a resource rather than as a threat. You can track things like what websites they use for backlinks, what type of content they create, the main source of their traffic and other information. Traffic Analytics – SEMRush helps you track how you are going to be able to find where you are going wrong and correct it. This feature keeps you updated on what made a traffic increase in any specific month so that you can use the technique to grow further. Domain Comparison – This is where you can compare the real competition. The feature lets you compare up to three competitor websites for paid or organic keywords. You can see the top performing keywords of your site and the competitor. Site Audit – Every internet marketer desires seeing which site hinders him from ranking on the first page. Everybody wants to reach a larger audience. Site Audit feature of SEMRush lets you find out whether you have lack of in-depth content, images without Alt tag, missing meta description or long URLs that is blocking you from reaching the first page. Jaaxy offers one free plan and two paid plans for complete access to its amazing features. The free plan does not cost you anything and provides an opportunity to test how the tool works, what it is all about and decide if there is something you would like to pay for on a monthly basis. This free plan lets you perform 30 search queries of any type including Search Analysis, Alphabet Soup, Keywords and Affiliate programs. The Pro plan priced at $49 per month offers everything you need to begin your keyword research. Though it is intended for beginners, it can benefit experienced internet marketers as well. This plan offers unlimited keyword searches, keyword lists, QSR keyword competition, SEO power analysis and many more features. Those who want to take things to an entirely different level should go for the Enterprise Plan of Jaaxy that costs $99 per month. It is suitable for advanced internet marketers who require compiling large lists of keywords for different websites. This plan works five times faster than the free plan and provides access to additional features. Jaxxy or SEMRush – Which One is Right for You? Jaxxy targets beginners in content creation who would like to get noticed. It is a tool for those who would like to see their rankings in real-time. Affiliate marketers looking for affiliate programs and people who want to begin with domain names from the scratch would also find Jaxxy useful. On the other hand, SEMRush targets people who are keen on crushing their competition. It is a tool for advanced affiliate marketers who desire increasing their traffic and SEO firms looking for data from the web. 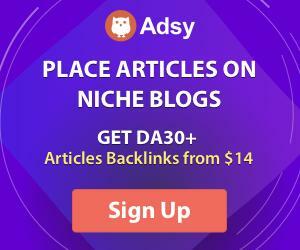 If you are in need of just a keyword research tool and tight on budget, you should go with Jaaxy. Those who are serious about tracking their competitors and crushing them should choose SEMRush over Jaaxy. SEMRush is the ideal tool for advanced marketers and SEO firms who want more tools in one place to make their SEO marketing more successful and effective. Content creation and keyword research are two inseparable concepts. Regardless of the level of your business, you need a keyword tool to make your efforts effective. Check the Jaxxy Vs SEMRush Review and decide which tool would work perfectly for you. Both these tools provide a free trial, so don’t forget to check them out for free and choose the one that suits your requirements the best.